On Sunday, August 30th, Orange Academy, the self-styled "Africa's 1st Practical School of Integrated Brand Experience", will hold its 6th Annual Immersion ceremony at the Lagos Sheraton Hotel & Resort in the heart of Ikeja, for its IBX 11 & 12 Classes, graduating after spending a grueling 48 weeks and change at the prestigious academy. The Orange Immersion Ceremony & Exhibition event is an annual ritual for students that have successfully completed course modules for the Integrated Brand Experience (IBX) program. As a precursor to the ceremony, students are assigned with an innovation project and required to develop a creative solution as part of their assessment before classes roundup for the session. Students are given five minutes to present their works that must include: a winning idea, brand development strategy and, an executable go-to-market plan. The objective is to see the students' application of all that has been practiced over the course of six months in the development of a truly innovative solution. Final Defense presentations are adjudged by a panel of Faculty members in the presence of other facilitators and incoming IBXers. Successful students are awarded with the school's official scroll, a testament of their journey and experiences at Orange, and are now found worthy to be labeled as 'Orange Minds'. 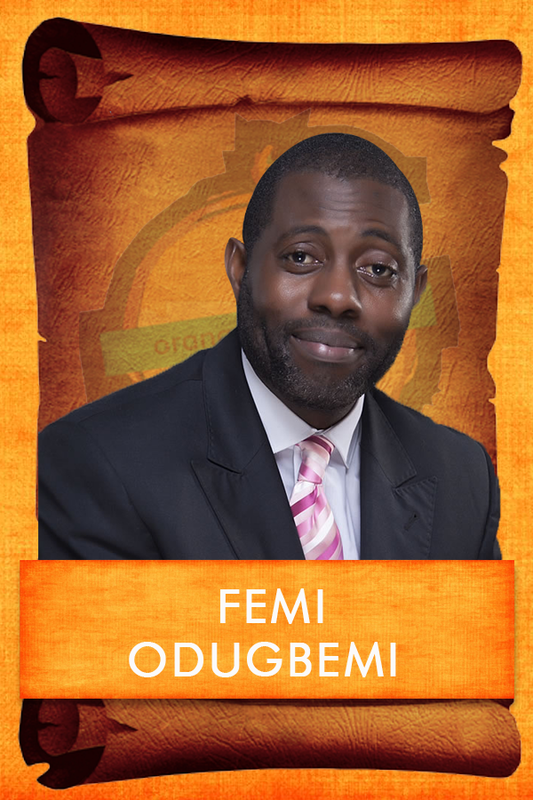 Orange Academy was founded in 2008 by a genius called Kehinde Bademosi a.k.a. Kenny Brandmuse, the enfant terrible of advertising, who was holding a regular nine-to-five desk job as creative group head of Centrespread, formerly Centrespread FCB, a second-generation advertising agency. Kenny's missional objective was to create an enabling platform for creative minds who were passionate about building power brands but wanted to go beyond the shallowed halls of advertising. The Muse took on the role of brand evangelist and proceeded to build the foundations of Orange where he began to preach the gospel according to branding, design thinking, storytelling, digital planing and innovation. He gathered likeminds and influencers within the marketing communications industry to act as facilitators and mentors, and together, they took on the responsibility of discovering, training and mentoring the next 'IT' generation of brand mavens in marketing. Over the years, Orange was described with various nomenclature as visitors, critics, and the press sought to place it within a context which they understood, and were comfortable with. Everything from "School of Branding" to "Business School of Advertising" to "Academy for Marketing Professionals" were bandied around for the better part of the '10s. But alas, that would have defeated Orange's reason for being in existence, especially as the founder did not want the School to be associated with simply advertising and marketing communications. Kenny had a vision in mind, and the terms "marketing", "communications", or "branding" were in themselves limiting, and would naturally encourage the operations and strap-ons of your regular-type, tertiary institution for marketers. Fresh students are called "inmates"
Guest speakers - Anouk and Maarten (The CoolBrands House) are a regular feature at Orange. Kenny had ambitious plans that were clearly mapped out, and his blueprint included the transformation of Orange into an 'Open Canvas'. Being 'Open' went beyond availability or access; it was the totality of bringing out one's inner self, motivations and complexities. Orange would provide an avenue for the T-shaped people; an experiential platform for the expression of ideas, creativity and imagination. Orange would become the go-to-place for the design, development and transmission of multimedia content and immersive experiences for students of branding, culture and people. Fast forward to 2015. One could safely say that Kenny's dreams are coming to fruition as recent admissions into the academy have included celebrity artisans, brand managers, and widely successful entrepreneurs. This is a far cry from the humble beginnings of Orange that previously experienced 75% of its programs taken up by post-graduate students looking for in-roads into the advertising industry. Orange is now inspiring talents from other specialist fields including music, banking, law, engineering, medicine and architecture. Right from inception, Orange forged a strong culture of audacity, boldness, openness, play and creativity, and fused them into the fabric of the brand. These values are enshrined in the foundation of the institution, and shared with students, faculty and staff members. This cultural seed has germinated over the years and transformed Orange into a pop-culture phenomenon within advertising and branding circles. Orange's major products include the immersive experiences it provides its students, and true gems - Orange Minds - who have become the brand's major influencers boasting over 3,000 active alumni members and annually contributing 8-10% share of the millennial workforce in the marketing communications industry. Over the past five years (2010-2015), Orange has become the primary recruiting ground for leading advertising agencies looking to swell their ranks with the most talented creative minds in the country. Its sphere of influence is however not limited to ad agencies. Brands have honed in on the action. Marketing managers send innovation briefs directly to Orange to share with its 150+ student teams hoping to get cutting-edge ideas that are not as predictable as the typical advertising campaigns been churn out on the regular by their rooster agencies. The proposed ideas and innovative solutions developed in response to seemingly complex briefs have become a defining characteristic of the Orange brand, and helped to define its positioning in the marketing communications sector. For us at Orange Academy, the un-marketing rests on the ability to tell compelling stories. Above the line. Below the line. Inside the line. Across the line. With no lines. It’s THIS ONE THING that separates our students from other students of Marketing Communications. We teach and practice the art of compelling storytelling that creates a memorable brand experience. Some works created by students. "We are a movement of brand storytellers and commercial storytellers," says Orange's CEO, Chisom Ohuaka. "We want to create magic moments for brands and businesses by applying the principles of compelling storytelling and a practical fun-approach in developing innovative solutions." Some output from these programs have resulted in the development of pro bono work for nonprofit organizations, and social cause campaigns initiated by the school. While not all of these projects have been fully supported by brands, it has however positioned Orange in the minds of marketing practitioners as the avant-garde of advertising, utilizing commercial-free artvertising to push the boundaries of social reforms in the country. Indeed, the school attests to its "continuing contribution to humankind marketing" on its website. One huge advantage that anyone would admittedly attest to is the high churn of creative pool from the academy into the hands of venture capitalists as tech startups continue to blossom in Africa. Graduates from the academy are becoming key participants, and instrumental, in the design, development and marketing of emerging digital platforms, online retail and shopping malls. Their works are becoming increasingly recognized, and is now inspiring the next generation of agency chieftains looking to build their teams with these T-shaped thinkers. Every member of Orange's faculty is carefully handpicked by the board of directors, and are working-class professionals from diverse fields: telecoms, banking, media and broadcasting. Their positions range from managing directors of of ad agencies, marketing directors of multinational corporations to CEOs of successful thriving businesses and startups. Orange also recruits top students from annual graduating sets as facilitators, and regularly updates its program curricula in tandem with global trends. By co-creating immersive experiences with students and faculty members, Orange keeps its creative juices flowing, and continues to diversify its portfolio through strategic partnerships with organizations to execute product development projects, marketing events and interactive workshops. These activities helps keep Orange in the spotlight and top of mind within the advertising sector. The school regularly invites CMOs, advertising executives, government officials and celebrities to its annual Immersion and Exhibition Ceremony for graduating students. It also hosts The Academy Wall of Fame, a yearly award event that celebrates companies with the most successful brand storytelling campaigns. Nominations and winning entries are adjudged online by the Orange community and alumni network. "We will continue to evolve our offerings to suit the future needs of marketing. From productivising our ideas, to building a social community of Orange Minds that get together to collaborate on projects, and co-working to solve complex problems."